In a roasting pan, add the tomatoes and drizzle with olive oil and sprinkle with salt and pepper. Roast for 20 minutes at 400 F.
Bring a large pot of heavily salted water to the boil and cook the pasta according to package directions. If you so choose, prior to adding the pasta, you could boil your asparagus for three minutes (depending on thickness) then shock in ice water. I prefer to steam mine, then shock them. When the vegetables are cooked, slice the stalks in thirds. In a saute pan large enough to accommodate the pasta, heat a tablespoon of olive oil over medium low heat and add the shallot and garlic. Cook for two minutes or until softened. Add in the cream and cook over low heat while the pasta is cooking. When the pasta is done, drain, reserving about a cup of the cooking water. 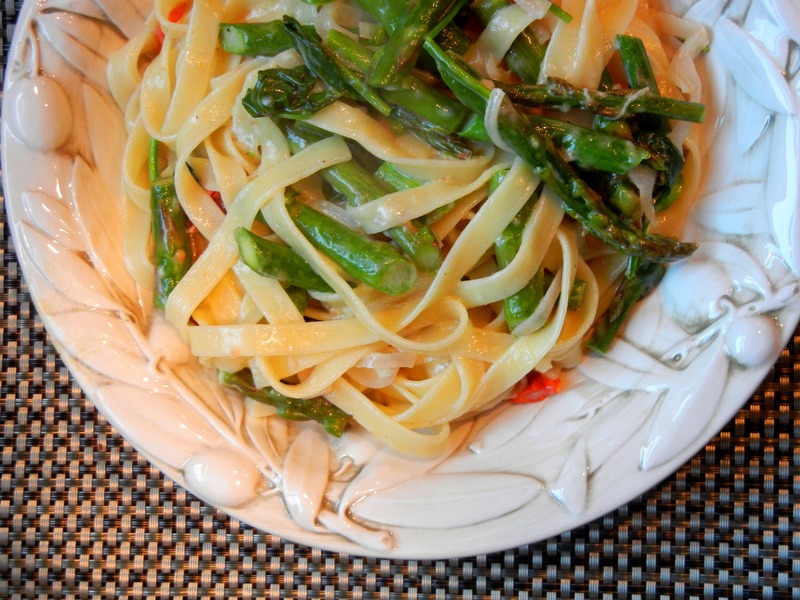 Add the pasta to the cream sauce and add in the cooked asparagus, tomatoes and spinach. Add in the pasta water a little at a time along with the grated cheese stirring until you have a creamy sauce. Adjust seasoning and serve garnished with more cheese. 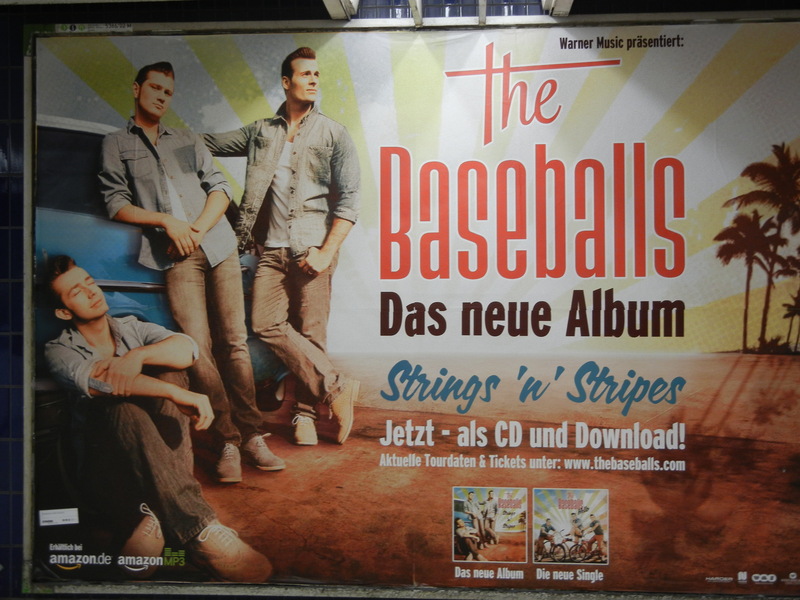 One of the many dozen subway posters all over Munich proclaiming the new album. Looks delicious! We will definitely try this — I’m always looking for ways to make asparagus taste better (not a huge fan of it). You might try it with white asparagus. It’s a bit milder and the dish I had in Germany used it and it was, in a word, spectacular. Thanks for stopping in.